What's your perfect Monday-night beer? Dads endure our good-natured ribbing over their jokes, their bods, their cargo shorts from Costco. But you know what dads get right? Poppin’ open an ice-cold brewski after a hard Monday back at work and kickin’ back in the recliner. To me, a Monday-night beer is specific. It’s a reward for getting through the most dreaded of all days, the day when your inbox is a mess and you spilled your lunch on your work clothes and the copier jammed and your boss needed those TPS reports like three days ago. But there are parameters. Namely, an ideal Monday-night beer shouldn’t make you so hungover or tired that your Tuesday is now worse than your Monday. Two, it shouldn’t be overly challenging in terms of flavors; a Monday-night beer should be enjoyed, not overanalyzed. Three, it should be easy. Pour it into a glass if you want, but a Monday-night beer should also be able to be enjoyed straight from the can or bottle, TV remote in the other hand. The Takeout staff has a few picks for our Monday-night beers of choice, but we want to know what you’re planning to back with tonight. Friends, I really enjoy Miller High Life. It’s my go-to among “yellow fizzy beers,” probably because it’s heavy on the fizzy. As a big sparkling water fan, I think I just have a preference for effervescence, and High Life delivers. I love it especially in the clear, 12-ounce bottles, making it an exception to my general preference for cans. The combo of an ice-cold bottle, the Champagne-like bubbles, and the reliably straight-forward flavor synch up to make this my Monday-night pick. Good thing I currently have a few left in the fridge. I was never much of a beer drinker, period, before meeting The Takeout’s genius beer judge Kate Bernot. But her patient, expert efforts to steer me toward wheat beers and radler recipes and less-hoppy IPAs have bolstered my beer efforts considerably. This summer, subsequently, I’ve been on a bit of a tear toward fruit-flavored beers, and this weekend happily came across Hell Or High Watermelon from 21st Amendment Brewery. (The fact that I discovered this at a snack bar while taking a break from trudging through Pokemon Go Fest with my kids only added to my unmitigated joy.) The beer does indeed have a refreshing (but not sweet) watermelon taste, which adds depth and dimension to a light, extremely drinkable wheat beer. I may pick some up for my Monday night drinking tonight, as I’m still recovering from catching all those Eevees and Pikachus and whatever. Y’all ready for some high-level beverage snobbery? Here goes: I’m not a craft beer guy, I enjoy port and gewurztraminer and liqueurs neat. The only time I find myself craving a beer is at a baseball game, and the light fizzy yellow-water is fantastic with a salty hot dog. It’s one of the great food-drink pairings of the world. To that end, I’m grilling a lot of hot dogs these days, and tonight, when I’ve got a few Ballparks and Nathan’s Famous on my Weber, I will most definitely be sipping an ice-cold Pabst Blue Ribbon, as it is easy to drink and my driver’s license says I’m a resident of the Midwest. 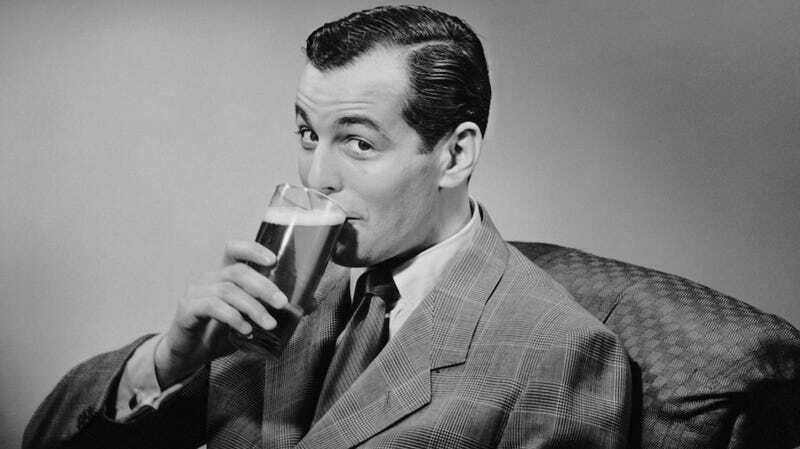 Hey Takeout commentariat: What easy-drinking beer will you be enjoying tonight? Tell us below, and cheers.